Until last summer, I rarely wore yellow. I was afraid that because of my fair skin and hair I would look washed out. But, I slowly learned that it is all about the shade of yellow you wear. I can only wear bright yellow. This isn't an everyday color, but every once in a while it is fun to throw on. 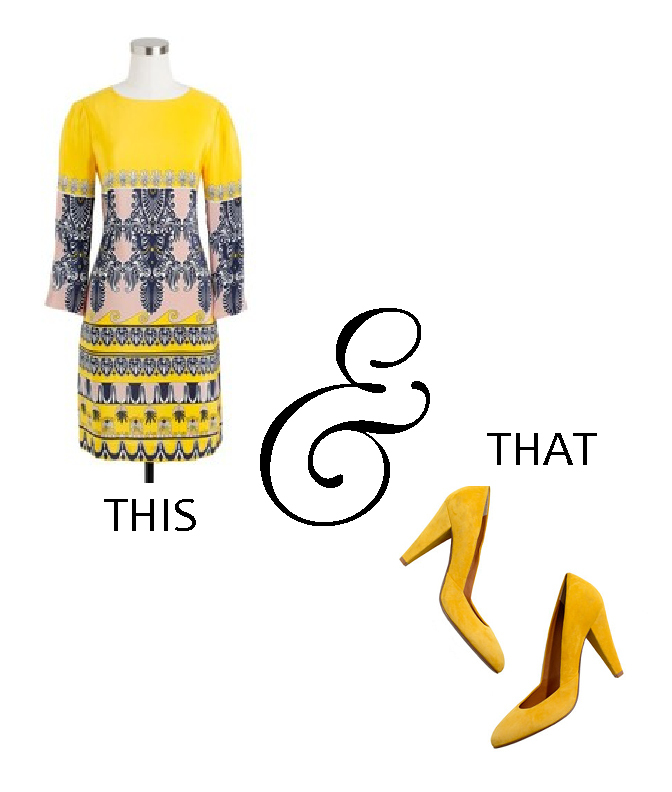 This yellow dress by J.Crew is perfect for the upcoming warmer months. I would pair it with a simple pair of sandals, but if you're feeling adventurous, these yellow heels would be fun too. So, find which shade of yellow looks go on you, and do it be afraid to rock it.